Aldi baking soups get a rating of just as good because their taste and quality are just as good as other name brand baking soups. You should also ask yourself, if something is really just as good then why waste money giving it to other companies who are money hungry and don't seem to care much for our dropping economy? 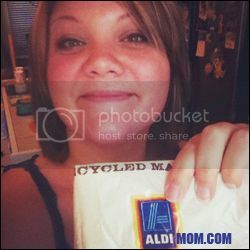 Aldi does care, and that's why they have a system that allows us to purchase food at low costs with just as good quality as the rest. And if you are the embarrassed type to not purchase name brands, I don't care how rich you are, who wants to give their money away? When it comes to items you are using to make something, such as Aldi baking soups and sugars, etc. does it really matter if it is name brand? No one sees it anyways.